Best in class online service desk software. Offer your customers world-class services with ServiceDesk Plus Cloud, the easy-to-use SaaS service desk software from ManageEngine, the IT management division of Zoho. Track and manage IT tickets efficiently, resolve issues faster, and ensure end-user satisfaction with the cloud-based IT ticketing system used by over 100,000 IT service desks worldwide. Manage the complete life cycle of IT incidents, problems, changes, and projects with out of the box ITIL workflows. 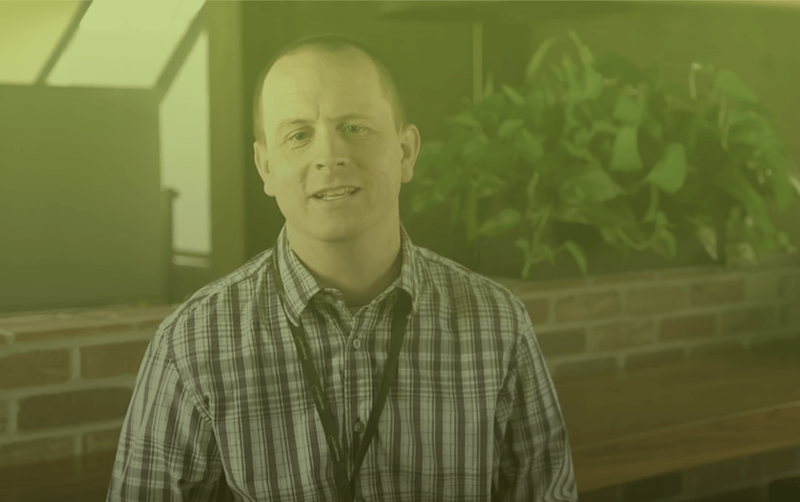 Create support SLAs, define escalation levels, and ensure compliance. Save time and effort with smart automation. Automate ticket dispatch, categorization, classification, and assignment based on predefined business rules, and set up notifications and alerts for timely ticket resolution. Reduce walk ins and unnecessary tickets by giving your users more control. 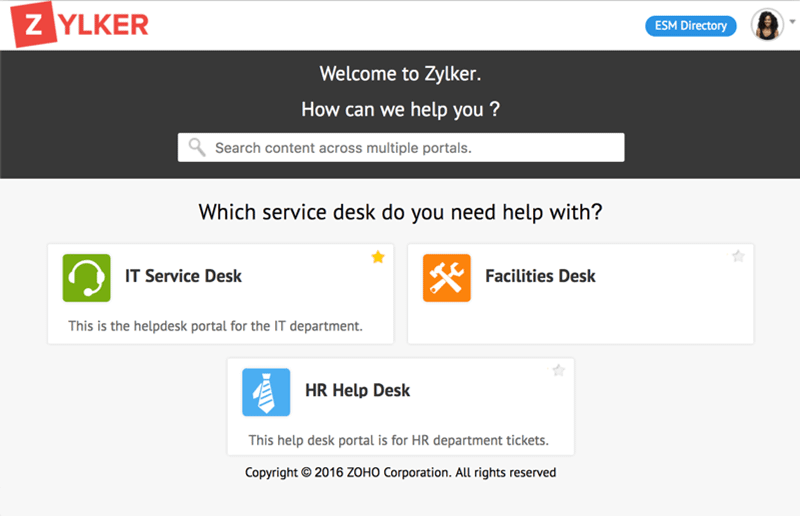 Enable end users to access IT services through your service catalog in the self-service portal. Help users create and track tickets, search for solutions, and provide approvals with our best-in-class online IT ticketing system, ServiceDesk Plus. 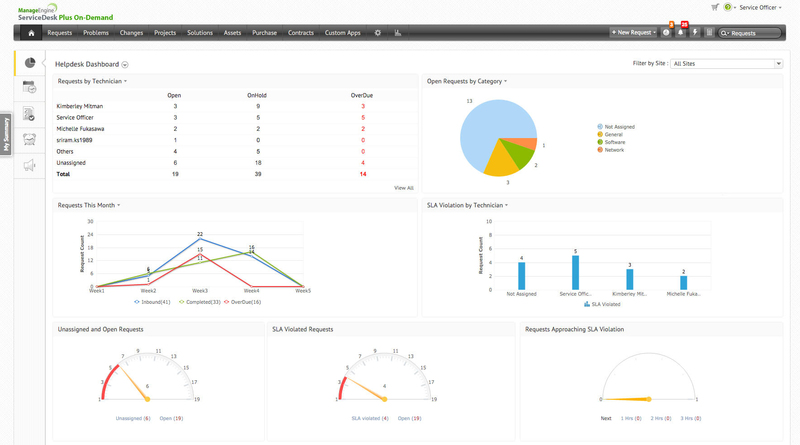 Measure your IT service desk performance with over 150 ready-made reports. 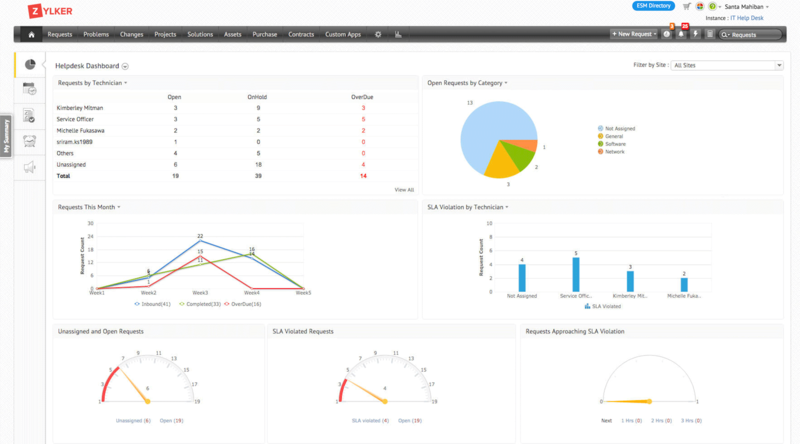 Create custom reports right from the user interface. Schedule reports to be automatically generated and circulated in a variety of formats. Discover and maintain an accurate inventory of all IT assets in one place, and draw relationships between different assets. Oversee your IT budget effectively by managing software and ensuring license compliance. Manage your IT service desk on the go. 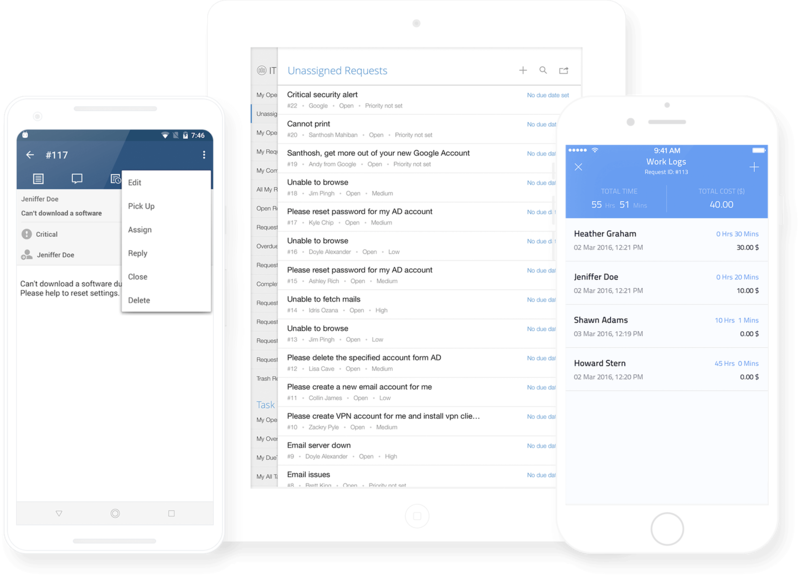 ServiceDesk Plus is the online ticketing system that lets you use native iOS and Android apps to offer IT support on the go, even while end users create and track tickets from their own devices. "We are getting better information up front than we ever have before." Unified service management for your enterprise. Your IT ticketing system on the go. Don’t be tied to your desk. Provide customer support anytime, anywhere. Power up your IT service desk on the cloud today.